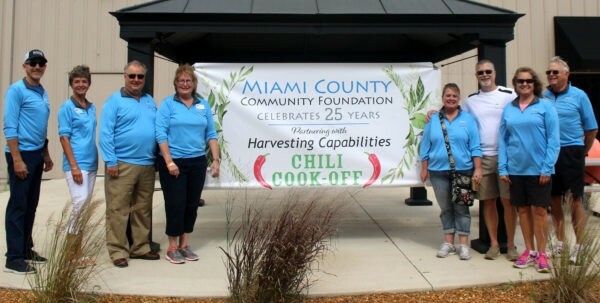 The Miami County Community Foundation (MCCF) celebrated its 25th anniversary on Saturday in conjunction with the Harvesting Capabilities Chili Cook-Off. The event was held at the Peru Riverview Event Center and was sponsored by Bryan Steam and First Farmers Bank & Trust. The early part of the event was covered live by Cara of WARU. The partnership between the MCCF and Harvesting Capabilities began with a $10,000 Impact Grant awarded by the MCCF to the HC Park project. The dollars were to be used by Harvesting Capabilities as matching dollars in their efforts to create a playground where all children, with and without disabilities, could play together. The match has already been met! All proceeds from the Chili Cook-Off event also supported the HC Park project, which the HC Park committee hopes to have built by July 4, 2019. The day began with the chili taste-testing and free ice cream. The ice cream was provided by the MCCF and served by American Heritage Girls’ Troop IN 0410, a group which the MCCF has supported with past grant dollars. Following the taste-testing was entertainment by local performers. 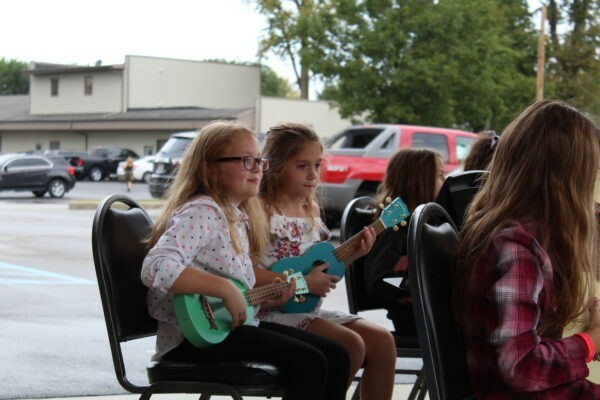 Visitors enjoyed performances by the Circus Festival Band, Peru High School Swing Choir, Ballet Arts of Peru, and Maconaquah Elementary School Ukulele Players. All of these groups have been supported by the MCCF. In conclusion of the event, MCCF Director of Development Connie Cutler thanked the MCCF’s donors and supporters for making it possible to award more than $50,000 in community grants alone so far this year. 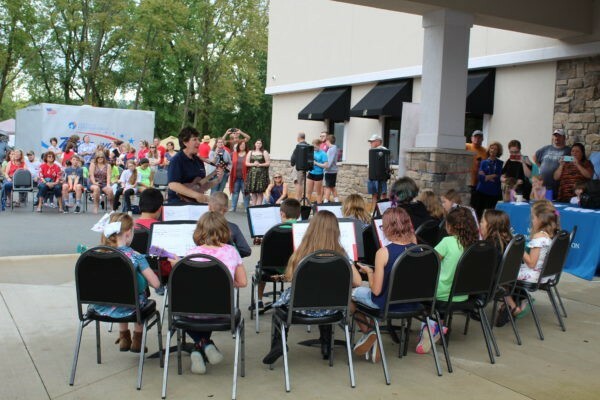 A portion of these grants have been used by the MCCF to spread joy throughout the community this year by awarding surprise pop-up grants to local nonprofits in celebration of its 25th anniversary. Since the MCCF’s inception in 1993, our donors have made it possible for more than $9.3 million to be given back to the community in grants and scholarships. The MCCF currently holds $10.9 million in assets. Cutler explained that since the Community Foundation is made up of endowment funds, our donors’ dollars are never spent, but are instead invested and will continue to grow and to give forever. Finally, the winners of the Chili Cook-Off were announced. This first place winners and their respective categories were as follows: Joe McMillan State Farm Insurance, Best Showmanship; Smitty McMusselman’s Pub & Grub, Restaurant Category; Team Save A Lot, Business Category; Mexico Baptist, Church Category; Sherry Raber for Clerk, Individual Category; and Chef Mike at Ivy Tech, School Category. The Chili Cook-Off and MCCF 25th anniversary event was an overall success, and the MCCF wishes to thank everyone who attended for their support, and they also wish to thank their donors and fund founders and Harvesting Capabilities for making it all possible.